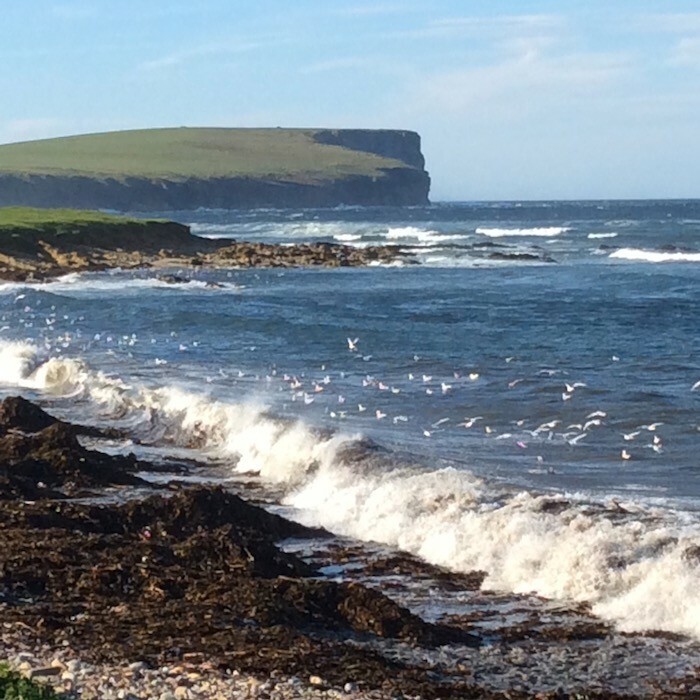 The seabirds love high tide on Birsay Bay, especially on a stormy day; the waves smash onto the seaweed disturbing insects which float on the tide for the birds to gobble up as each wave ebbs and flows. Wonderful for our self catering guests to view from our shoreline bench at any time of year come rain or shine! This views looks south from our shoreline bench to Marwick Head. The stormy waves remind me of the sad history commemorated on Marwick Head. In June 1916, HMS Hampshire was on a secret mission to take Lord Kitchener and staff to Russia. Suddenly, about three miles out from the cliffs in the photo, the ship hit an undetected German mine and over 700 men lost their lives in the blast and the cruel seas of that stormy night. 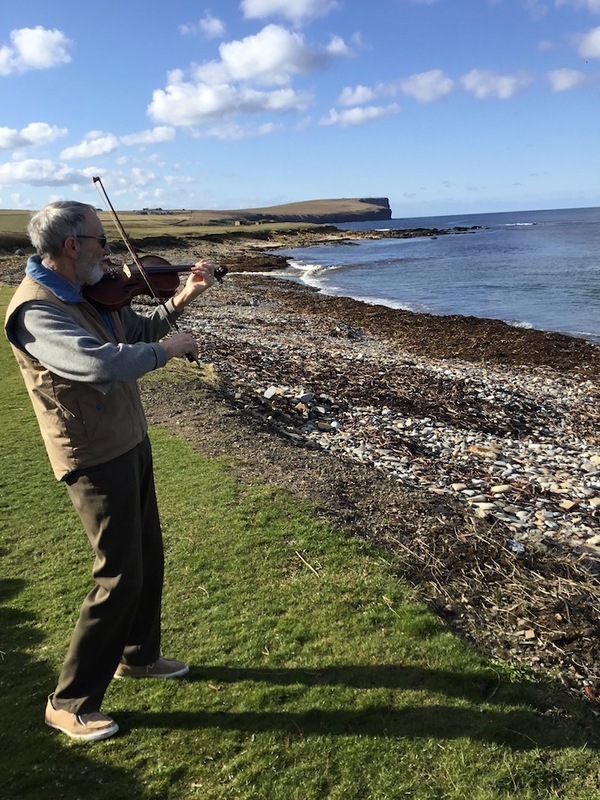 On a more positive note, Robin decided to honour and remember all those who died by making the walk to Marwick Head his first Fit As A Fiddle Challenge. This is a walk we recommend to our guests at Annie's Place. The walk starts just along from our door at Palace Stores, joins the St Magnus Way along the shoreline of Birsay Bay, and climbs up the spectacular path to the recently erected memorial wall around the Kitchener Memorial on Marwick Head. Robin's challenge is to raise funds for the charity Music in Hospitals and Care (MIHC Scotland). The second photo is appropriate here as it is the one Robin is using as a poster to highlight his challenge.